Agatsu "Self victory." According to the founder, true victory (MASAKATSU) is the victory one achieves over oneself (AGATSU). Thus one of the founder's "slogans" was MASAKATSU AGATSU - "The true victory of self-mastery." Aikido The word "aikido" is made up of three Japanese characters: AI - harmony, KI - spirit, mind, or universal energy, DO - the Way. Thus aikido is "the Way of Harmony with Universal Energy." However, AIKI may also be interpreted as "accommodation to circumstances." This latter interpretation is somewhat non- standard, but it avoids certain undesirable metaphysical commitments and also epitomizes quite well both the physical and psychological facets of aikido. Aikidoka A practitioner of aikido. Aikikai "Aiki association." A term used to designate the organization created by the founder for the dissemination of aikido. Ai Hanmi Mutual stance where UKE and NAGE each have the same foot forward (right-right, left-left). Ai Nuke "Mutual escape." An outcome of a duel where each participant escapes harm. 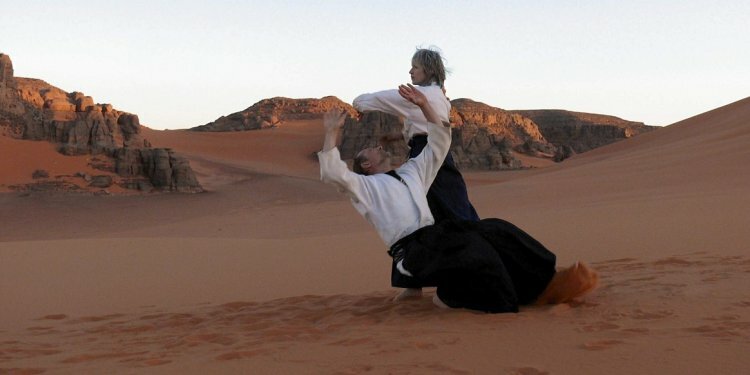 This corresponds to the ideal of aikido according to which a conflict is resolved without injury to any party involved.